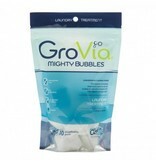 Mighty Bubble is designed to remove built up minerals and urine from fabric. If your cloth diapers are struggling in hard water, this may be the solution! Simply run a hot wash on clean clothes or diapers with 1 pod. Follow with 1 extra wash. Each pack dissolves complete and is safe to use in HE and non-HE washers. 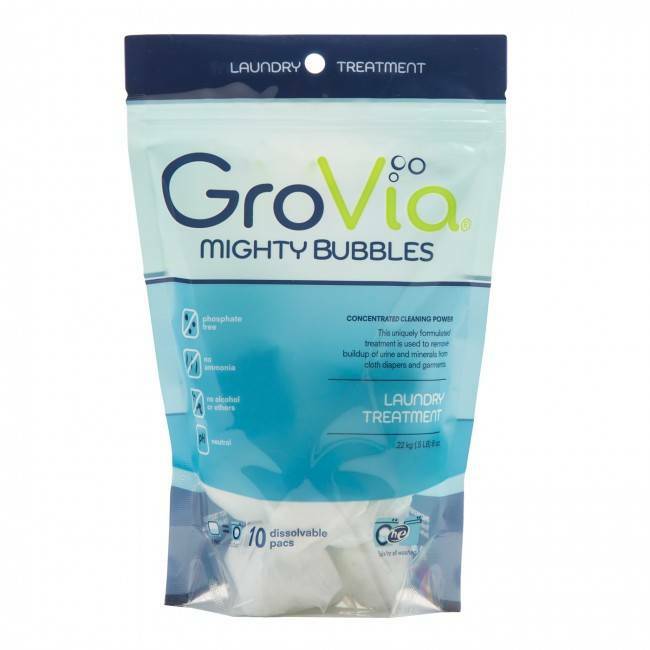 You can feel good using Mighty Bubbles knowing that they are pH neutral and free from phosphates, ammonia, alcohol, and ethers. 10 pods per package.